This year's event, which takes place on Thursday, February 7, will have a special “Hogwarts” theme. More than 1,000 people have attended the enchanting and spellbinding celebration of the much-loved character in recent years – and 2019's incarnation is expected to be just as popular. The annual event is part of a global initiative from Bloomsbury, the British publisher of the Harry Potter series. The company came up with the event series five years ago to encourage reading and promote the genre of fantasy. 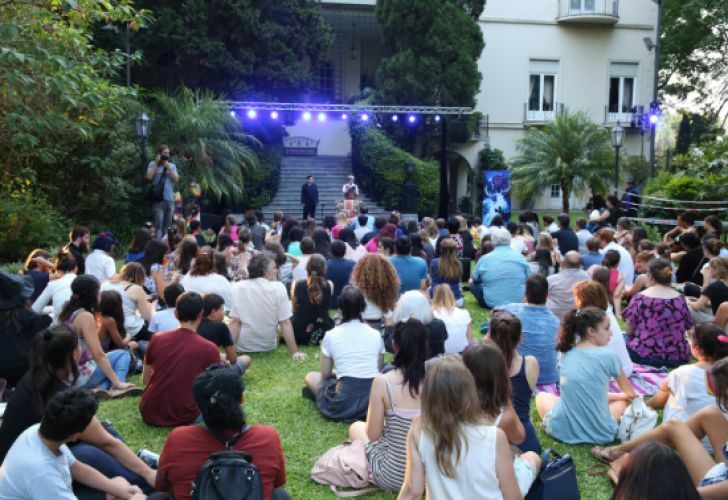 “Harry Potter Night is a unique opportunity to share British culture with the community, opening our doors to all Harry Potter fans to enjoy a night full of activities and games with other people who share their passion for the story,” British Ambassador to Argentina Mark Kent said in a statement. Fans can try out virtual reality games, snap pictures in a themed photo booth, and watch pastry-baking demonstrations at the event in the capital. Athletes in attendance can also show off their skills in a Quidditch match, the fictional sport that Harry Potter played on a flying broomstick. An annual costume contest will close off the event, with awards handed out to the best dressed. Author J.K. Rowling's famous series of fantasy novels developed a cult following from the first book’s release in 1997, growing with each installment leading up to the seventh in 2007. An epic story following the trials of a young wizard and his friends captured the mind of children (and adults) around the world with over 80 translated versions. The books inspired an eight-installment movie series from Warner Brothers and a global community of loyal Potter fans. Tickets will be available on the British Embassy’s social media pages, starting February 4. Snap up them up quickly before they all fly away!